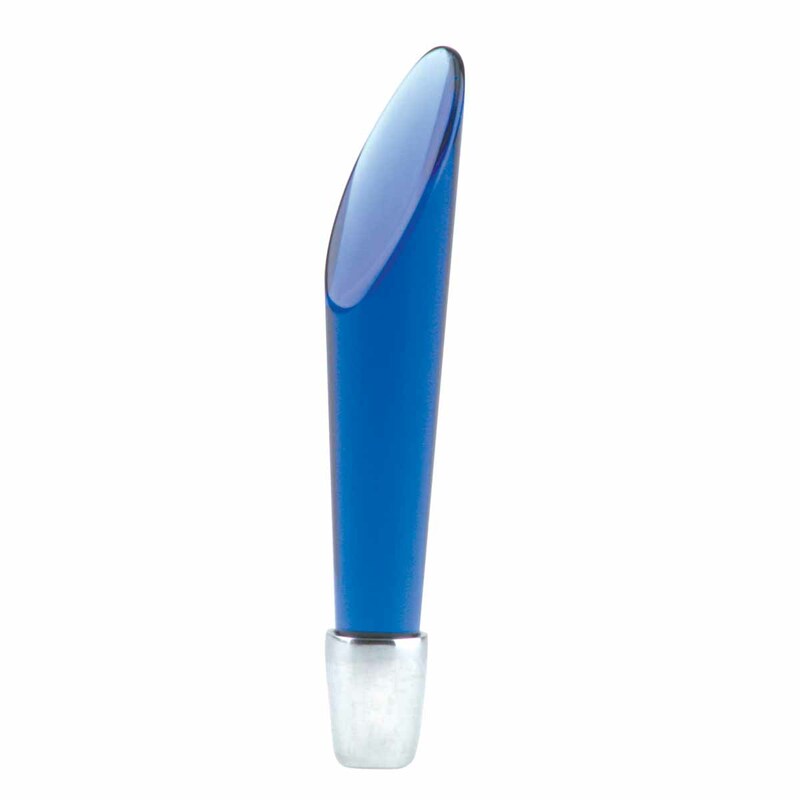 Blue Plastic Tapered Lever. The tapered lever is made of high resin plastic and the base is polished chrome. The tapered lever is interchangeable with other chrome faucets: 17410, 17411, 17412, 17413, 17414, 17415, 17416, 17417, 13153, 16086. Select a knob that works with your decor.